This is the second and final form of General Onox in the Oracles of Seasons.I asked Everfaust, the artist behind the Dark Dragon above about his submission! 1. Legend of Zelda is one of my favorite game series of all time. 2. The prospect of recreating an oldschool baddie was too tempting to pass up. 3. 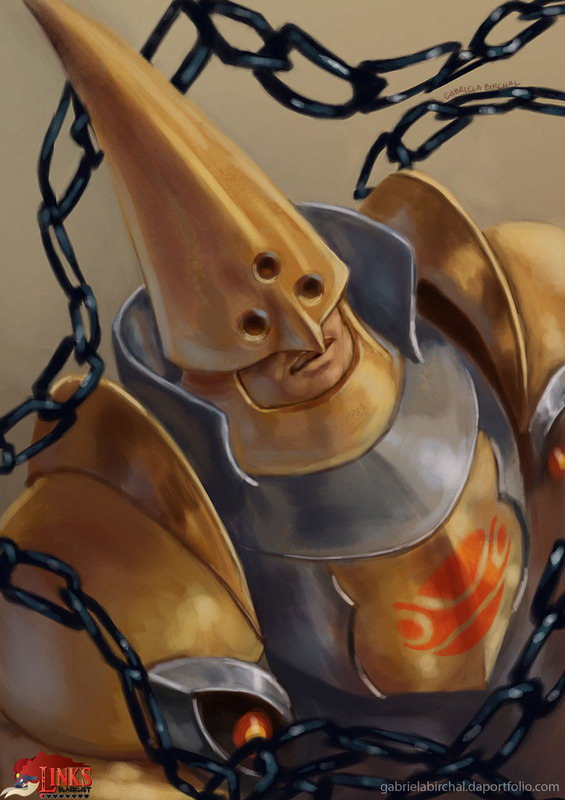 General Onox is one of those badguys, you just love to hate. Originally, I’d wanted to just re-make his human form. but when researching other artwork done on him, it seemed no one ever bothered to re-create his dragon form. What was the idea behind putting his human form into the jewel? I was applying a bit of logic to why “it” was the dragon forms “weakspot”. *(what bound General Onox to this realm was the spell that summoned him here, which manifested itself as his human form). **In otherwords.. you didn’t actually kill Onox, you just destroyed the “spell” that bound him here. What was it like working on this piece? Working on General Onox was fun and interesting. There were DEFINITELY a few times I had to pull my self back from taking too many liberties with his design (interpreting a nice medium from old gameboy graphics to full CG). If you’d like to learn how I made Onox, feel free to check out my Zbrush tutorials on youtube. I’ll try to do a full review of the processes I used for this piece. User=Requiemsvoid. 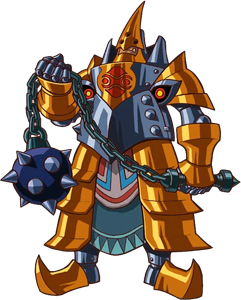 General Onox is the main antagonist from Legend of Zelda: Oracle of Seasons. He wants to bring chaos and darkness to the world and was summoned by Twinrova from the Dark Realm to destroy so much that the flame of destruction would burn again. 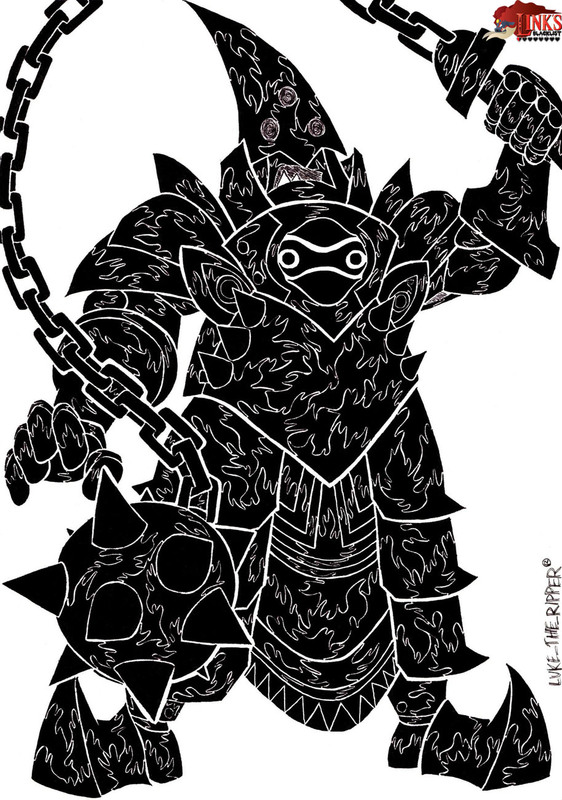 Onox design is pretty similar to the Iron Knuckle enemies which makes one wonder if he is related to them somehow. In the game he does not fear Link and mentions that he is stronger than Veran if Zelda: Oracle of Ages was played through. 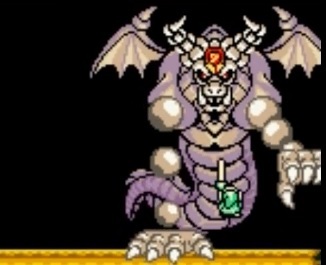 He is often called one of the hardest bosses in the Legend of Zelda series in general, his Dark Dragon form is also one of the so far tallest enemies Link has to battle. Our second illustration of General Onox in his human form was created by Gabriela Birchal from Brazil, this is one of the artworks in Link’s Blacklist which were not directly made for it. 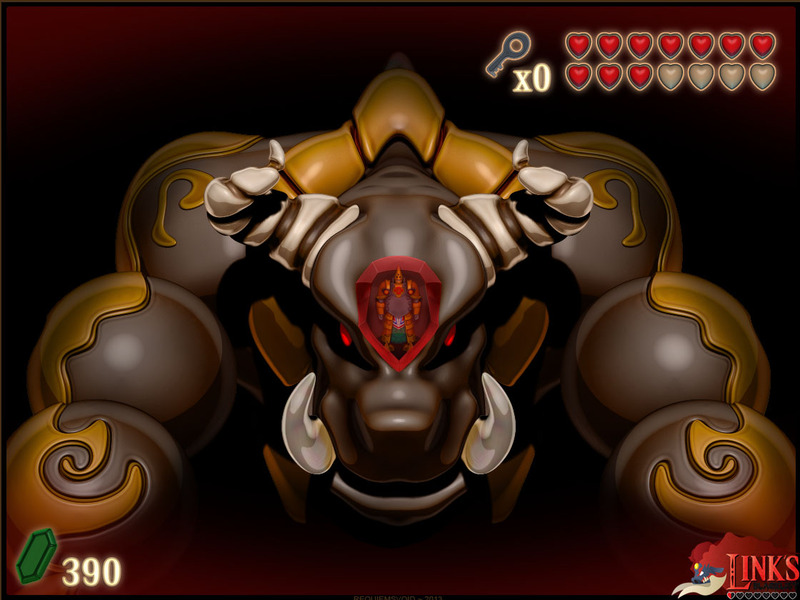 Gabriela was working on an own small series of illustrations of Zelda bosses though and when she published it, Link’s Blacklist Round II was ongoing! And three, this was the perfect opportunity for me to try out some new things to better draw them in my style in the future.